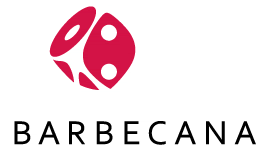 BARBECANA is an innovative producer project risk analysis software for both Primavera and Microsoft Project. Barbecana’s software Full Monte and Schedule Inspector are fast, easy to use, accurate and affordable risk analysis solutions used by companies nationwide. Full Monte is a powerful cost/resource/schedule modeling and simulation tools available for both Primavera P6 and Microsoft Project. Schedule Inspector improves the quality of schedules by checking for the use of scheduling features and techniques that many think should be used sparingly or not at all.